Belmont Little League lost to Chula Vista 9-0 Saturday but will return to a big welcome-home party. Belmont's Little League team may have lost the game tonight, but fans are still planning a big welcome-home party. Hundreds came out for a viewing party at Carlmont High School in Belmont. 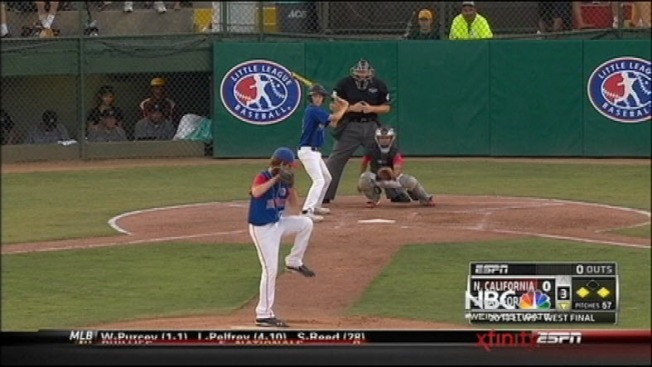 The Belmont Redwood Shores All-Stars took on a team from Chula Vista in Southern California for the chance to play in the Little League World Series. Belmont lost 9-0, but that did not seem to matter to a lot of people. They say one game does not tell the story of an incredible season. Viewing Party Organizer Allan Sikl says he wants the Belmont Little League team to be rewarded for their accomplishments. “To me, it’s a blessing these kids went as far as they did, so hopefully, we’ll give them a nice welcome back when they come back from San Bernadino,” Sikl said.